If you ask anyone about “Leonardo” and “Le Louvre”, the answer will invariably be “La Joconde (Mona Lisa)”. 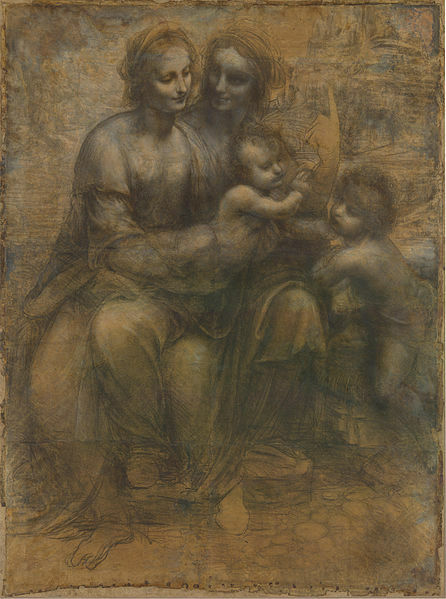 It is present through an alternate version from the master’s studio, but it is Leonardo’s master-work The Virgin and Child with Saint Anne which is the centerpiece of this exhibition. Da Vinci started working on it in 1501 and left it unfinished upon his death 18 years later. After long years of restoration works, it is finally possible to see this large painting on display with all surviving related works: sketches, preparatory drawings, alternate versions, including the famous Burlington House cartoon. 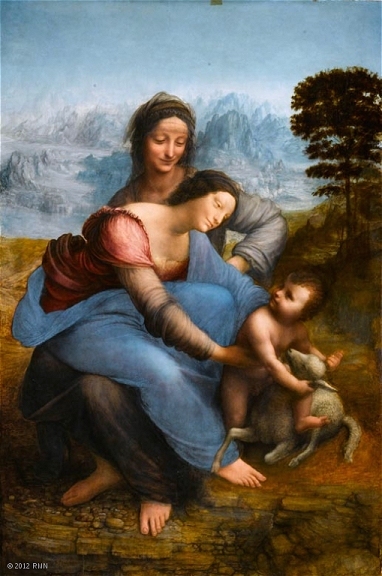 The exhibition also includes German & Flemish religious art (Joos van Cleve, Quentin Matsys…), Michelangelo, Raphael and Bernardino Luini to name but a few, and 2 other major works from Leonardo: the Virgin of the Rocks, Saint John the Baptist. 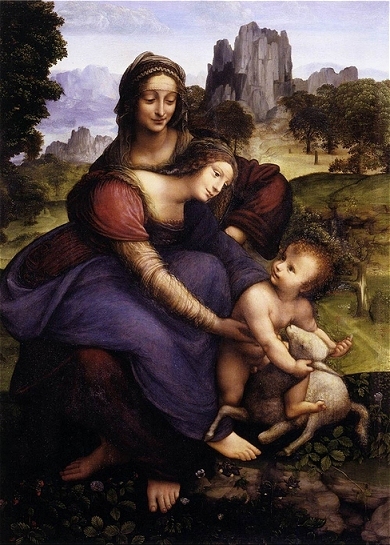 Many studies and sketches – Saint Anne, the Virgin, the Child but also landscape details – make the visit worthwhile, but I was particularly moved and impressed by the Florence studio version, with wonderful colours and details, the Burlington House cartoon, and the Saint Anne itself, whose colours, transparency is a pure delight. It is not surprising that the work strongly influenced Leonardo’s contemporaries and followers, in Italy and abroad (see the Matsys painting), and also painters in later periods – see the Degas. This entry was posted in Art exhibition and tagged Leonardo da Vinci, Louvre by MichelE. Bookmark the permalink.